The Fed may want to take a hint from the market, and stop with raising rates, before it goes too far in my opinion. In my view, investors should pay attention to the separation this year between the financials, industrials and materials sectors–and the technology, biotech, and discretionary groups. I do not think all sectors are showing the same level of strength. In fact, the financials continue to struggle. While technology and biotechs are breaking out or near breakouts, the financials are going the other way. In fact, the trading pattern in the Financial Select Sector SPDR ETF (XLF) would suggest there are more declines to come, according to my analysis. The pace of the yield curve declines have increased materially, and I think the latest inflation data from the job report continues to tell us that wage inflation has yet to return. One key inflationary reading is wage growth, and the latest results continue a tepid pace of just 2.7 percent. Another critical inflation metric, oil prices, have also tapered. But the good news is that the low inflation level is working wonders for the economy in my opinion. The second-quarter GDPNow reading, calculated by the Federal Reserve Bank of Atlanta, is forecasting growth at 4.8%, and that number has been rising over the past two months. In my view, it all speaks to the rotation we have seen in the equity market lately. Investors are the selling off financials, materials, and industrials, all of which are dependent on inflationary forces. In contrast, investors are embracing discretionary, technology, biotech sectors that benefit from low inflation and low rates. In my view, the stock market seems to be sending us a reasonably good message about what it thinks about the future of inflation, and so is the trend of the yield curve. In my opinion, maybe the Fed should take a hint and hold off on more rate hikes. Mott Capital Management uses a long-term thematic growth approach to investing in equities. We search for investments that both reflect and help to shape generational and demographic shifts. 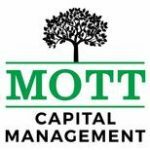 Mott uses a philosophy of buying these companies for a 3- to 5-year time horizon, with the belief that a long-term holding period gives themes and our chosen companies a chance to fully develop. In our view, the long time horizon also serves to mitigate the risk associated with the short-term impact of market volatility.